Buying office furniture requires practical considerations that go far beyond aesthetics. The comfort and safety of your employees and your guests must be factored into every decision. What does it mean for an office to be “ergonomic”? 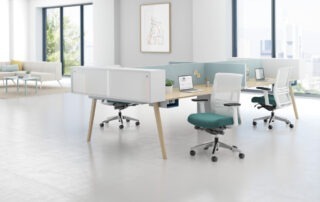 One of the most common questions customers ask is what does it mean for an office environment to be ergonomic and what are the primary benefits.